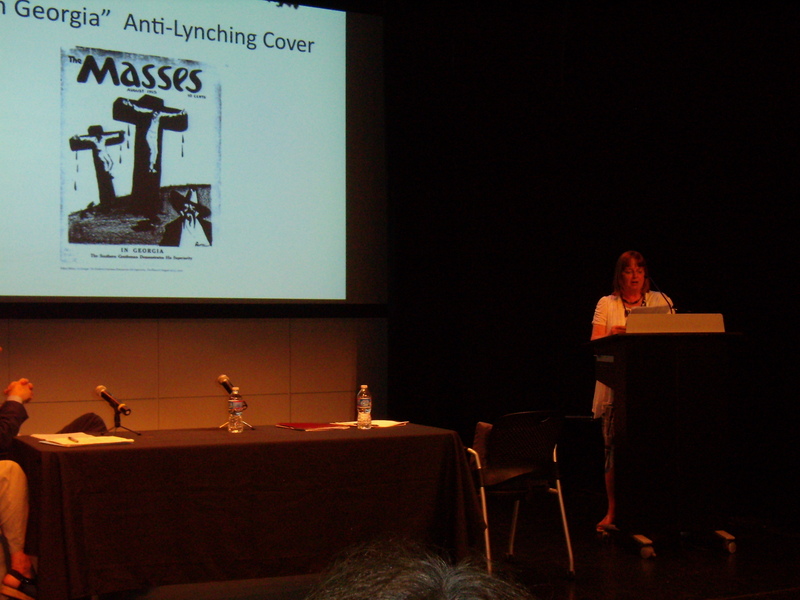 Friday, May 25, 2013, at the ALA Conference, Boston. In attendance: Cheryl Black, Martha Carpentier, Sharon Friedman, Noelia Hernando-Real, Basia Ozieblo, Michael Winetsky. 1) Martha Carpentier, on behalf of the International Susan Glaspell Society, thanked Sharon Friedman for organizing the “Theatre of Engagement” panel and Cheryl Black for organizing the concert reading of “Performing Bohemia.” She awarded Noelia Hernando-Real with a travel grant unanimously approved by the Executive Council. Noelia Hernando Real, “Sane Enough to Kill: On Women, Madness, and the Theatricality of Violence in Susan Glaspell’s The Verge.” Violence in American Drama: Essays on Its Staging, Meanings and Effects. Eds. Alfonso Ceballos Muñoz, Ramón Espejo Romero and Bernardo Muñoz Martinez. Jefferson, NC: McFarland, 2011. Martha summarized ISGS conference activities and publications since the last business meeting in 2011. The impressive list includes Drew Eisenhauer and Brenda Murphy’s Intertextuality in American Drama: Critical Essays on Eugene O’Neill, Susan Glaspell, Thornton Wilder, Arthur Miller and Other Playwrights (McFarland, 2013 which includes seven articles on Glaspell) and Noelia Hernando-Real’s Self and Space in the Theater of Susan Glaspell (MacFarland, 2011), dissertations (by Emeline Jouve, Ling Jian-e, and Michael Winetsky), performances, readings, and papers at the International Conference on Theatre and Drama (Seville 2012) and the Justice Served Symposia (MU, 2012). Cheryl Black announces that Milbre Burch won a prize for her piece “Sometimes I Sing” and that she got another prize for producing the Justice Served Symposia. Martha reminded us all that the website is a blog, so that we can all share our accomplishments. We continue to accomplish the goals stated in the Society mission statement, increasing the visibility of Glaspell and her work in both academic and theatre communities. There is one issue that, however, worries us all and it is the diminishing number of members. There are 45 members now, after a high of 70 in 2010, and Martha reminded us all to keep recruiting in mind, particularly among graduate students. Martha announced that together with Noelia she will check if we are eligible and how to apply to MLA as a subgroup, since this would increase visibility, and hence numbers. Martha informed the group about Chad Coffman, a college student and Davenport native who discovered a four page-story by “Susie Glaspell” hand-written in Feb 1893 titled “The Holy Grail: The Story of Sir Percival’s Sister” in the Davenport Public Schools archives. Martha showed copies of the original and her transcription. Martha added that Coffman believes he has discovered Glaspell’s birth house at 502 Cedar Street, which had been thought lost. Martha informed us that our nomination of Glaspell didn’t make the cut for the National Women’s Hall of Fame, a lengthy application that was spearheaded by Ellen and prepared by Ellen, Noelia, Cheryl, Basia, and Martha. They automatically roll unsuccessful nominations over to the next cycle for re-consideration (every two years, hence 2015). Martha suggested that we use excerpts from this piece to update Wikipedia, which has gaps that could use filling in by the ISGS. Noelia noted that since it will be re-considered again, we should wait to use this material rather than publishing it online. Michael Winetsky affirmed he has been working on the Wikipedia and he will continue to do so. Noelia focused on the status of the Literary Encyclopedia entries, pointing to all the entries that need to be written. Entries published between 2011 and the present meeting include Emeline Jouve’s Springs Eternal and Chains of Dew, Milbre Burch’s Chronology, and Michael Winetsky’s The Glory of the Conquered. Linda Ben-Zvi is working on Free Laughter, Sherry Engle on The Comic Artist, Drew on Lifted Masks and Michael Winetsky on Judd Rankin’s Daughter. Cheryl is going to ask a student of hers to write the entry on Bernice, and Martha will write the entries on Norma Ashe and Ambrose Holt and Family, and she will ask a student of hers to do The Morning is Near Us and Mary Papke to write on The Visioning. Martha will also ask Patricia Bryan about writing the entry on Her America. 5) Martha announced the world premier of Springs Eternal scheduled for this September/October at the Orange Tree Theatre in London. Director Sam Waters finds the play very moving, and he’s very excited about finally bringing this work to the stage. He’ll also do a reading of Bernice at some point during the run. Thanks to J. Ellen Gainor for this great news. Noelia suggested asking Sam whether he would be interested in letting us organize a seminar as we did last time. Everybody finds this a good idea and Basia will ask Sam personally next June. 6) Martha mentioned briefly the progress of Emeline Jouve’s and her plans for Susan Glaspell’s Trifles and “A Jury of Her Peers”: A Centennial Celebration. Martha informed us of contributors who have already been accepted and noted that the CFP is still open until the end of June. The group decided to work with the Eugene O’Neill Society and set the Trifles centennial in 2016, when Trifles was first produced and Eugene O’Neill became a member. Also we agreed to assist Jeff Kennedy, EONS incoming President, in planning an event in P’town in the summer of 1915 to celebrate the beginning of the PPs themselves. 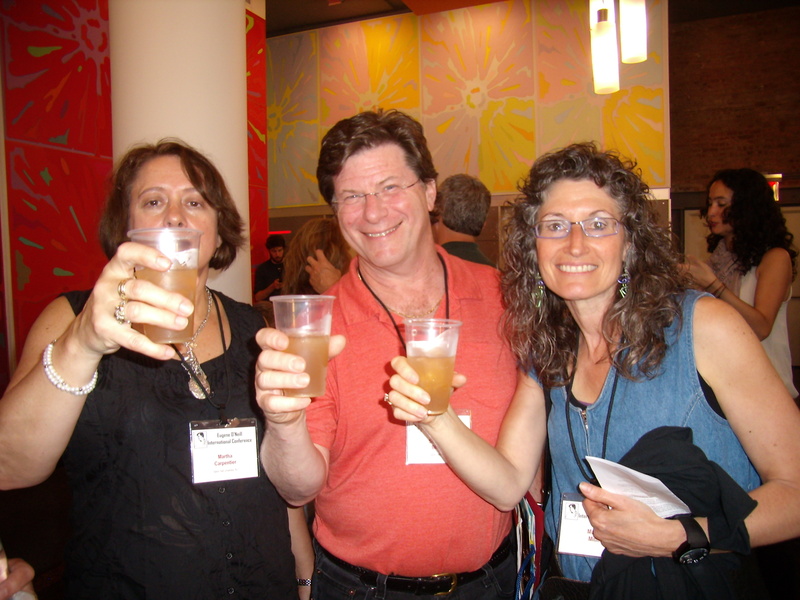 We agreed to form an “Ad Hoc Centennial Conference Planning Committee” to aid the ISGS Executive Council in planning the conference: to include Cheryl Black, Linda Ben-Zvi, J. Ellen Gainor, and Michael Winetsky. Cheryl agreed to work on a script. It was also suggested that we could entice a local NYC theater group (some suggestions were the Mint or Metropolitian theaters) to do Trifles and Bound East for Cardiff, and that Milbre Burch could do her piece “Sometimes I Sing”. Jeff Kennedy also may assemble “notables,” such as the Gelbs and Tony Kushner, for a reading of these two pieces. We still have to think about keynote speakers and contact them. Martha reminded us that J. Ellen Gainor may try to get Elaine Showalter, and Sharon offered to contact Carol Gilligan. Financial support for such an eminent speaker must be addressed. This entry was posted in Minutes on June 3, 2013 by Martha Carpentier. This entry was posted in 2013 Publications, Publications on May 10, 2013 by Martha Carpentier. Prof. Cheryl Black directed Trifles and Milbre Burch presented her original monologue directed by Emily A. Rollie, “Sometimes I Sing,” a moving sequel to Trifles, as part of a triple bill including a new adaptation by cfrancis blackchild of Zora Neale Hurston’s “Sweat” entitled “The Devil’s Own” and directed by Laura M. Nelson, all under the umbrella title “Justice Served.” The interdisciplinary symposia at University of Missouri featured visiting scholars Patricia L. Bryan (Chapel Hill), ISGS member and author of Midnight Assassin: Murder in America’s Heartland, and Hurston biographer Valerie Boyd (University of Georgia). The performances were sold out and the postshow discussions, led by Bryan and Boyd, were fabulous! MU faculty from the Law School, School of Journalism, School of Social Work, English and Women’s and Gender Studies Depts. attended and participated in the discussions. The Kennedy Center American College Theatre Festival respondent raved, and the students in the casts felt like they were part of something very special and important. 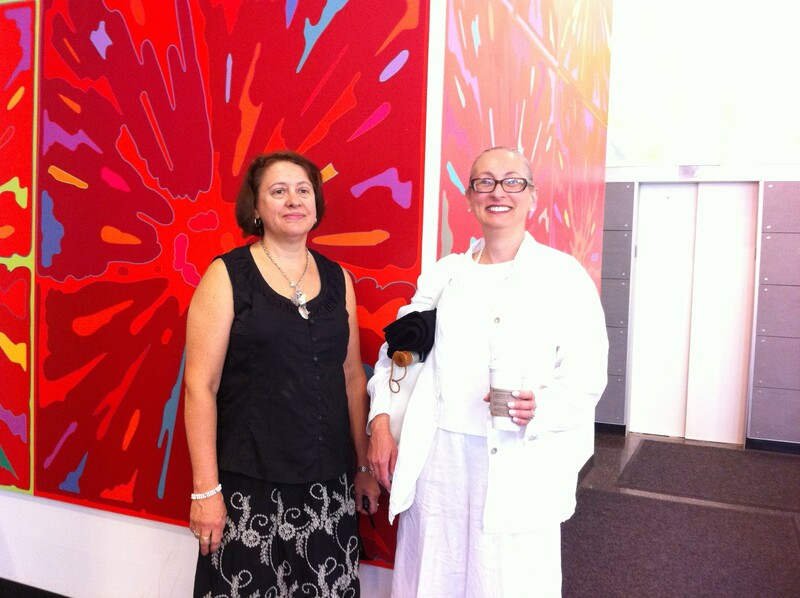 This entry was posted in Performances, Trifles on April 22, 2012 by Martha Carpentier. 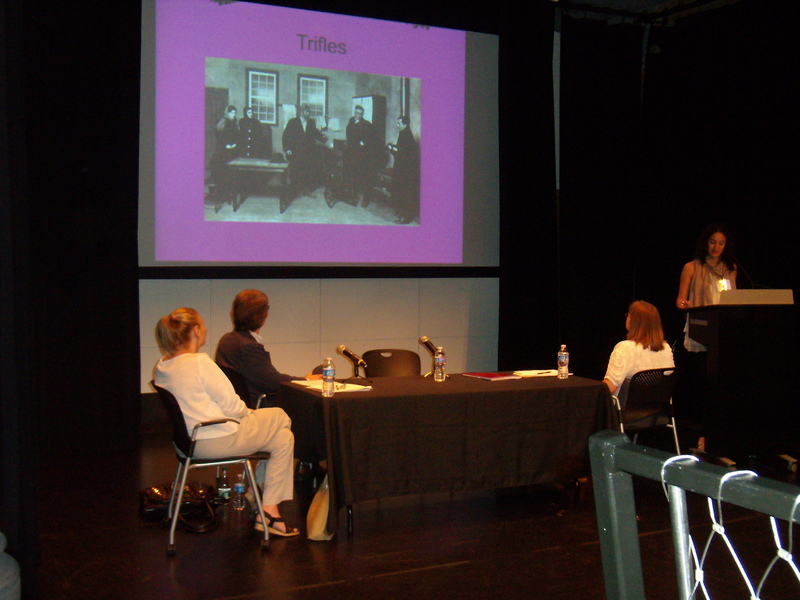 J. Ellen Gainor lectured on Glaspell at an event hosted by the League of Professional Theatre Women on Monday, May 14, 2012 at the Martin E. Segal Theatre Center, 365 Fifth Avenue @ 35th Street, New York City. 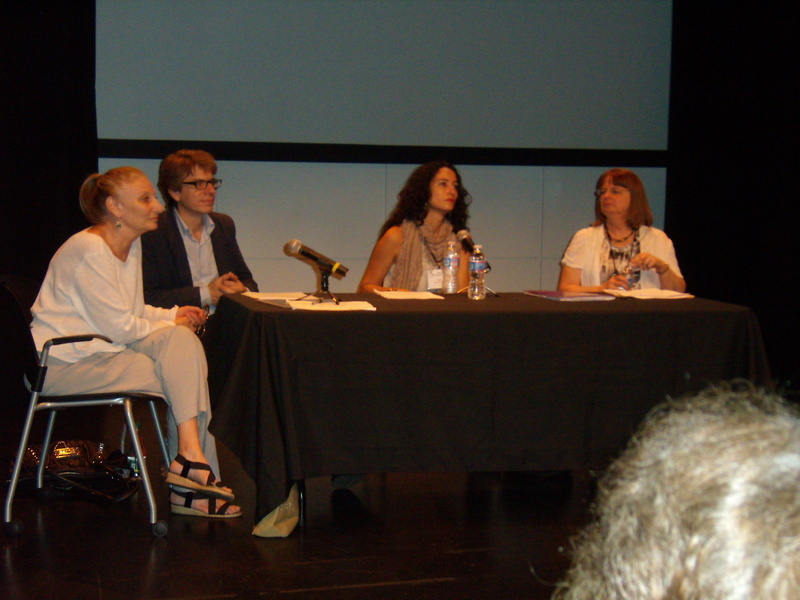 The documentary film, “Sweet Tornado: Margo Jones and the American Theater,” was shown, followed by a Q&A and a panel. Ellen’s panel also featured Helen Sheehy on Eva Le Gallienne, Wendy Anne Vierow on Margaret Webster, and Susan Quinn on Hallie Flanagan, followed by a reception. This entry was posted in Uncategorized on April 17, 2012 by Martha Carpentier. Published by McFarland, Noelia Hernando-Real’s exploration of eleven Glaspell plays written between 1915 and 1943 focuses on one of her major themes, the interplay between place and identity. Hernando-Real examines the means Glaspell employs to engage her characters in proxemical and verbal dialectics with the forces of place that turn them into victims of location, and her characters’ attempts to escape the influence of territoriality and shape identities of their own. Hernando-Real has also recently published “Sane Enough to Kill: On Women, Madness, and the Theatricality of Violence in Susan Glaspell’s The Verge” in Violence in American Drama. Essays on Its Staging, Meanings and Effects. Eds. Alfonso Ceballos Muñoz, Ramón Espejo Romero and Bernardo Muñoz Martinez. 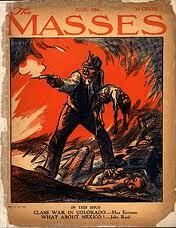 Also published by McFarland. This entry was posted in 2011 Publications, Publications on October 27, 2011 by Martha Carpentier. May 28-30, 2012, Seville, Spain. Noelia Hernando-Real chaired the International Susan Glaspell Society panel, featuring the following papers: “Nora in America: Ibsen’s A Doll House as Intertext within a Tradition of Feminist Bildungsdrama in Plays by Eulalie Spence, Dawn Powell, Rachel Crothers, and Susan Glaspell” by Cheryl Black, University of Missouri, USA; “Why Do We Three Go Apart? : Love, The Mind-Body Problem, and Trajectories in Glaspell’s Oeuvre” by Michael Winetsky, CUNY, USA; “Some Challenges in Translating Suppressed Desires into Spanish” by Nieves Alberola Crespo, Jaume I University, Castellón, Spain. A large contingent of Glaspellians attended this conference hosted by the University of Seville in beautiful Andalucia, Spain! 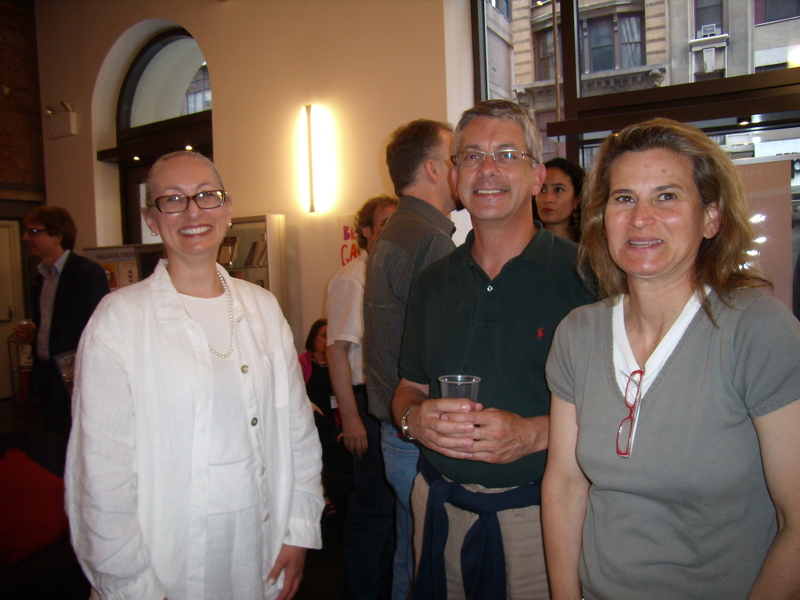 This entry was posted in 2012 Conferences, Conferences on August 4, 2011 by Martha Carpentier. 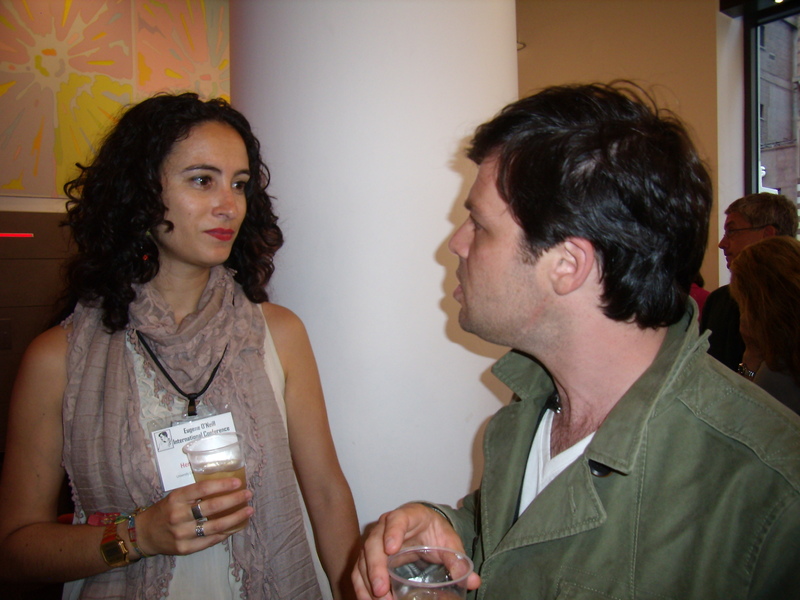 Saturday, June 25, 2011, at the Eugene O’Neill International Conference, Gallatin Building, NYU, New York City. In attendance: Cheryl Black, Martha Carpentier, Drew Eisenhauer, Sherry Engle, Sharon Friedman, J. Ellen Gainor, Noelia Hernando-Real, Basia Ozieblo, Michael Winetsky. 1) Martha Carpentier, on behalf of the Susan Glaspell Society, thanked Sharon Friedman for organizing all the events of the SGS at the conference. 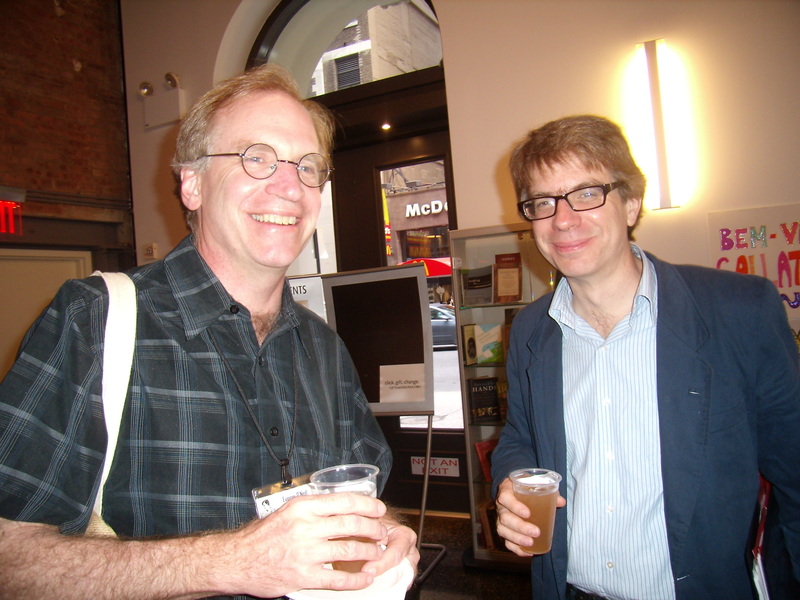 Michael Winetsky, “A Playwright of Pragmatism: Susan Glaspell’s Unity of Science and Religion,” Ecumenica Journal of Theatre and Performance, Spring 2009 (unanimous decision). Sarah Withers, “Intertextuality on the Frontier in Susan Glaspell’s Inheritors,” given at ALA 2010, chair Drew Eisenhauer. Martha summarized SGS conference activities and publications since the last business meeting in 2009, an impressive list including books, performances, readings, and papers at ALA Boston, the International Conference on American Drama (Kean University, Union NJ), ATHE Los Angeles, and ALA San Francisco. We continue to accomplish the goals stated in the Society mission statement, increasing the visibility of Glaspell and her work in both academic and theatre communities. Remarkable performances include The Verge and Trifles at the Ontological-Hysteric Theater, with talkbacks with Sharon Friedman and J. Ellen Gainor; John Bilotta’s opera version of Trifles – libretto by John F. McGrew – which premiered at the 10th Annual Fresh Voices Festival; and Off-Off Broadway Zephyer Rep presented Chains of Dew, based on Cheryl’s adaptation, at the Wings Theater, NYC. Martha asked Cheryl to submit a brief report on this production to the website. Martha also suggested those who attend performances and panels leave constructive comments on the website, which is now a blog in which comments can be submitted to any post. Cheryl announced that she will direct Trifles next March at Missouri, and that Milbre Burch will perform her piece on Trifles. Michael Winetsky said that the Five Drama Societies did not meet at ALA Boston, and that ALA is thinking about leaving the San Francisco and Boston intercalary conferences. Martha read Doug Powers’ report. Membership is up to 47 members. Martha highlighted that our paper prizes have attracted younger people, and that the graduate students who attended ALA also joined. Martha thinks we are doing fine in encouraging younger members. It is suggested that new members be welcomed personally by email. Martha suggested that paying dues biannually may make things easier, particularly for non-US members. Martha reminded us that Seton Hall does not support PayPal, and is not likely to. Sharon wondered whether paying annually is psychologically sound. It was finally decided to keep the annual dues payment. Martha uploaded a membership renewal pdf online, so that members can print it out and send it to Doug with a check. Noelia focused on the status of the Literary Encyclopedia entries, pointing to all the entries that still need to be written. Sharon will write the entry on Bernice, Sherry will do The Comic Artist, and, following Basia’s suggestion, Linda Ben-Zvi will be asked to write the entry on Free Laughter. Martha will write the entry on Norma Ashe, Michael Winetsky will do Judd Rankin’s Daughter, and Drew Lifted Masks. Martha will ask Patricia Bryan about writing the entry on Her America and Sarah Withers about doing Fidelity. Cheryl will ask Milbre Burch to build Glaspell’s chronology. Noelia informed the group about the 4th International American Drama Conference to be held in Seville, May 20-30 2012. Noelia wants to put together a SG panel, and Cheryl suggested The People for the staged reading. J. Ellen Gainor updated us on the status of the NWHF application written by Ellen, Basia, Martha, Cheryl and Noelia. This coming December is the end of the two-year cycle. If our application fails, we can get feedback to try again. Martha suggested that the SG entry on Wikipedia be replaced by the content of our NWHF form. Basia suggested waiting until the NWHF committee says something about Glaspell’s nomination, and her suggestion was unanimously accepted. Martha insisted that the new site is a blog, so we should all participate and keep it alive, especially the teaching blog which she added at members’ request. Volunteers are needed to accomplish certain online tasks. Michael Winetsky volunteered to compose a list of links to online sources for Glaspell’s primary texts. Michael Winetsky also volunteered to create a SGS Facebook page, and to prepare a documentary on Susan Glaspell. Martha proposed changing the name to “International Glaspell Society”. Since this will mean changing the wording of the by-laws, as per Article IV Section 4, this must be endorsed by the Executive Council and then go to the membership via e-mail for a vote of at least two-thirds in favor to pass. The proposal passed unanimously by the Executive Council. The next Election will take place in 2012. Martha asked Judith Barlow to conduct the election via e-mail as in previous years. Martha will run for a second term as President; Noelia as Vice-President; hopefully Doug also as Membership and Finances Officer. Martha reminded us that there are no term limitations on Executive Council members as per by-laws, so the existing members could run again. Next ALA will be in San Francisco in 2012. Sharon suggested Monica Stufft to chair a panel, or maybe Michael Winetsky. Cheryl says she is still thinking about ATHE and ATDS 2012. Martha proposed holding a Susan Glaspell Conference at St. Catherine’s College, Oxford, in August 2013, three days and four nights. Member Kirsten Shepherd-Barr is willing to be an onsite liaison. We need a minimum of 20 people to make it possible. Basia suggested a topic wide enough should be presented to bring in other scholars. Sharon suggested something like “Susan Glaspell and her Contemporaries: Globalism, Transnationalism and War.” Noelia will e-mail all members asking for panel proposals. Michael Winetsky suggested that we could hold a symposium, where sessions do not overlap, rather than a conference. Since this is an expensive event, Martha suggested using some of the society money to help some people attend or, as Basia pointed out, to lower the rate a little for everyone. The event will be made public in the US and abroad. Sherry will help through her British colleagues, especially Susan Croft. Everybody agreed this conference is a very good idea and that the next Business Meeting can be held at this conference. Sharon and Ellen suggested holding an interdisciplinary conference to celebrate the centenary of Trifles in 2016. They envision attracting high profile speakers such as Elaine Showalter and Carol Gilligan. They think that, although expensive, NYC would be a good place to hold it, particularly since we have access to the Gallatin Building and theatre (thanks to Sharon) during the summer. However, another option may be Provincetown. Everybody agreed the SGS should honor this centenary and we will work on developing plans after the St. Catherine’s conference. This entry was posted in Minutes on July 19, 2011 by Martha Carpentier. “O’Neill in Bohemia,” June 22-26, Greenwich Village, NY. The Susan Glaspell Society was once again pleased to be participating in the International Eugene O’Neill Conference with a full day of events on Saturday, June 25, 2011. 12:00 —SGS Business Meeting in Dean’s Conference Room, Gallatin Building, 1 Washington Place. Meeting minutes are posted. 2:00—Panel: “‘The Beloved Community’: The Provincetown Players in Context,”in Jerry H. Labowitz Theatre, 1 Washington Place @ Broadway. Chair and organizer: Sharon Friedman, the Gallatin School, New York University. Recent scholarship on Susan Glaspell and other writers and artists of the Provincetown experiment has probed and deconstructed the by now mythical narratives of its founding and evolution to provide a more historicized and intertextual analysis of the Players and the plays. These studies situate the group at an important historical moment—the development of socialism, feminism, psychoanalysis, modernism, and the emergence of global warfare—and reveal shared stylistic and thematic concerns as well as their profound connections to other writers, cultural institutions, ideologies, discourses, and events of the period. Presentations will build on this research to explore the synergies between plays produced by the Provincetown (1916-1922) and writings produced by Village institutions, such as the Washington Square Players, the Liberal Club, The Masses, and Heterodoxy, with which they shared members, ideals, and a range of responses to events and conditions of this period. “Staging Bohemia: Theatrical Self-Representation in Greenwich Village,” Brenda Murphy, Board of Trustees Distinguished Professor of English, University of Connecticut. 3:45—“Performing Bohemia”: A Concert Reading by Susan Glaspell Society members along with professional actors, adapted and assembled by Cheryl Black (University of Missouri) from Glaspell’s “The People,” the pages of the socialist journal The Masses, and sundry songs, poems, speeches, and manifestoes from the pens of the Provincetown Players and their Village cohorts, presented in the Jerry H. Labowitz Theatre. For photos of this event, follow the link to O’Neillian Win Goodbody’s gallery from “Links” page. 5:30—SGS Provincetown Punch Reception. We toasted “The Beloved Community” with their “Fish House” punch from the recipe preserved by Provincetown executive committee member Edna Kenton. The Players’ potent potable combines two kinds of brandy, rum, black tea, sugar, lemon juice, and ice, and was served to Glaspellians and O’Neillians in the gallery space adjacent to the Jerry Labowitz Theatre. 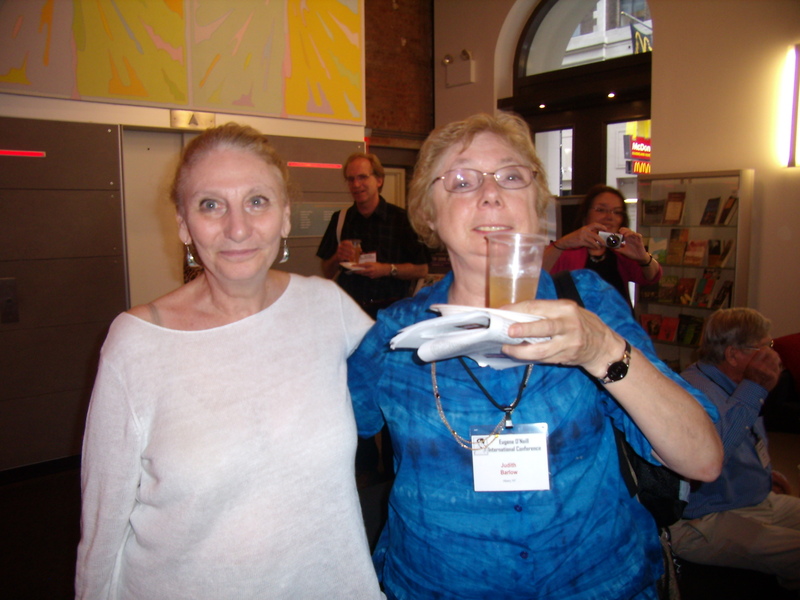 This entry was posted in 2011 Conferences, Conferences on May 22, 2011 by Martha Carpentier. The Glaspell Society is pleased to present its panel as part of the Five Dramatists Societies’ series of associated panels at ALA 2011 on “Dramatizing Ideas.” Selecting for traits, cross breeding, grafting, Claire Archer, the horticultural mad scientist at the center of Glaspell’s 1921 drama The Verge, uses all of these techniques to create a new self-reproducing species of plant, calling her efforts “mad new comings together.” In imagining Claire’s work in this play, Glaspell hit upon a metaphor for the intellectual life of Greenwich Village, where new ideas in politics, philosophy, science, spirituality, and art were bred and crossbred. Glaspell’s horticultural metaphors for ideas have been linked by recent scholars to the educational organicism of John Dewey, to the Pragmatism of William James, to the Humanism of F. C. S. Schiller, to the psychoanalytic theories of Sigmund Freud, to the ontology of Henri Bergson, as well as to the evolutionary science of Lamarck, Darwin, and Haeckel. Such metaphors must be seen as the culmination of Glaspell’s own long-standing interest in the fusion of different ways of knowing. 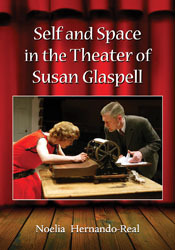 “When art weds science,” Glaspell wrote in her first novel, The Glory of the Conquered, “the resulting library is difficult to manage.” Extending these metaphors into a more general inquiry, the Susan Glaspell Society invites papers that address Greenwich Village as a site for the transformation of ideas. “‘What is that?’: Epistemological Crises in Glaspell’s Trifles and The Morning is Near Us,” Taryn Norman, University of Tennessee, Knoxville. 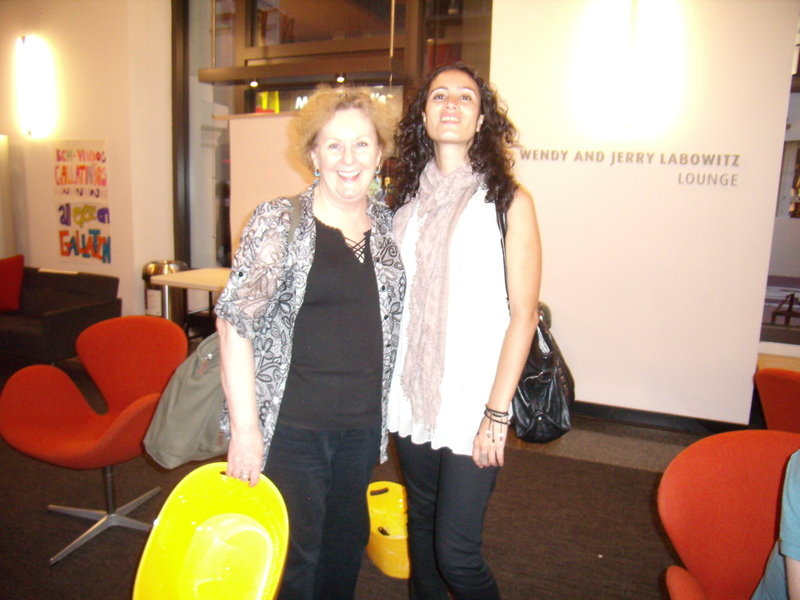 This entry was posted in 2011 Conferences on May 22, 2011 by Martha Carpentier.